Union Agriculture and Farmers Welfare Minister Shri Radha Mohan Singh welcomed the Shri. Peter Bleser, German Federal Minister for Food and Agriculture and said that India’s relations with Germany have always been warm and friendly and that it is based on common values of democracy, respect for fundamental rights, and mutual trust. He said he is particularly happy with the pace at which cooperation in the agriculture and allied sectors are progressing between the two countries. Talking about the cooperation, the Minister said that six JWG meetings have taken place since 2008; Agriculture Skill Council of India (ASCI) and German AgriBusiness Alliance (GAA) have agreed to cooperate the establishment of Centers of Competence/Excellence in Agriculture, while the cooperation in seeds sector is active as project implementation agreement for the next phase (January 2017 to December 2018) had been signed in May 2017. The Minister briefly mentioned the various initiatives taken by the Government in the agriculture sector and said that the present level of bilateral trade in agricultural products can be further enhanced. Shri Singh requested the German Minister to use his good office for early resolution of the issue relating to Tricyclazole (TCA) in Indian Rice exported to Germany and other members of EU and issue of acceptance of digital phytosanitary certificates by the EU countries.After that, the Agriculture Minister met Danish Minister for Environment and Food, Mr. Esben Lunde Larsen. Welcoming the visiting Minister, Shri Singh recalled the historically friendly relations between the two countries. Shri Singh expressed satisfaction at the significantly expanded cooperation in trade, investment, and technology and said that he hopes that full potential would be realized in all areas following normalization of our relations. Shri Radha Mohan Singh conveyed his appreciation to the Minister for Denmark’s participation at the “World Food India 2017” as a partner country and said that there are many opportunities in the food processing sector which can be successfully tapped by the Danish companies. It was followed by a meeting with Branislav Nedimovic, Minister of Agriculture, Forestry and Water Management of the Republic of Serbia. Shri. Singh welcomed the visiting Minister and expressed his satisfaction at the warmth of relationship as is indicated by Serbian Government’s decision to abolish visas for Indians. Shri Singh also briefly recalled India’s remarkable journey in the sector since gaining independence in 1947 to become the world’s largest producer of milk and one of the leading producers of fruits, vegetables, and fisheries. 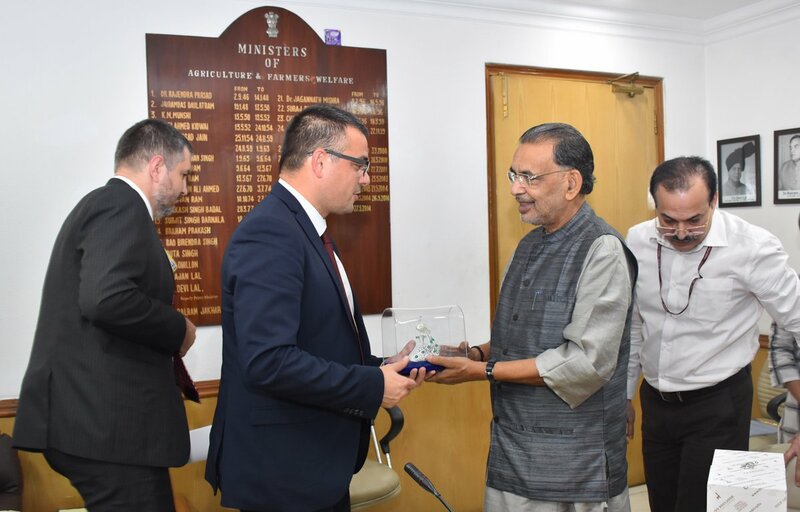 The Minister said that agriculture & food processing and agricultural machinery are crucial industry segments in India-Serbia trade relations. 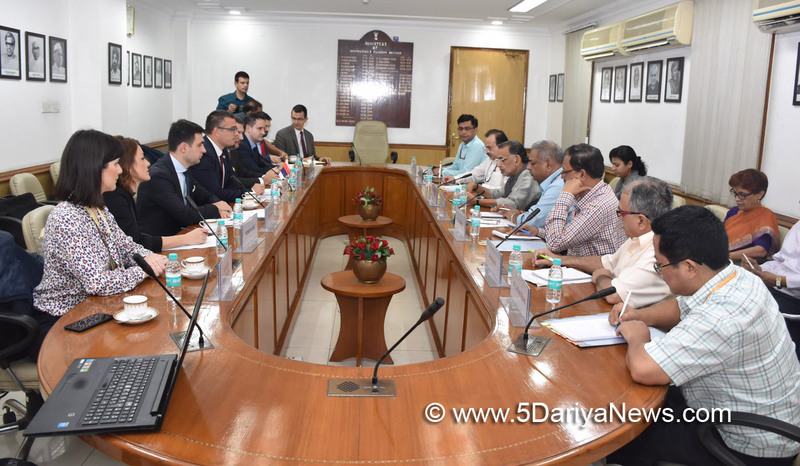 He said that the present level of trade in agricultural products has much potential for further enhancement and suggested that Serbia may consider importing tropical fruits such as mango, pineapple, banana, papaya etc. from India.